Price varies based on location. Please see Pricing for more information. What does placenta encapsulation help with? Women have reported help with: improved mood, balanced hormones, increasing energy, quicker recovery time, increased iron levels and more. The Placenta Pill makes no guarantees as to reported benefits, as every woman is different. ​Do you cook the placenta? The placenta will be gently steamed for about 20 minutes. This helps to remove any harmful bacteria that may be present. A pinch of ginger and dried myrrh are added to the water. If you wish to add other ingredients to the water, such as lemon or frankincense, you are welcome to provide that. In most circumstances, you'll have your pills ready in 2 days. I’m having a home birth, how soon can you come out? I can come as soon as you are ready. Be sure to keep your placenta cold in the fridge or a cooler with ice until I can begin the process. I’m having a hospital birth, will the hospital release my placenta? HB 1670, known as the Texas Placenta Bill, was signed into law by Governor Greg Abbott on June 17, 2015. It passed in the Senate on May 26, 2015, with unanimous support (31-0). The new law allows mothers to keep their placenta after the birth of their baby in any Texas hospital or birthing center, as of January 1, 2016. It is strongly suggested that you tell your doctor ahead of time that you plan to take your placenta home and write it in your birth plan. Also be sure to tell the nurse when you go in for delivery that you plan to take it home. The hospital may ask you to sign a liability release form. You'll need to provide a cooler and ask for ice to keep your placenta cold. Many clients have had epidurals and/or spinals or C-section, and those women benefit just as much, if not more so. Do you only do encapsulation? Placenta services include an umbilical cord keepsake. Placenta prints are available. ​I utilize Regina Dale, a certified master herbalist at Howling Wolf Herbs to provide placenta tinctures and herbal baths if desired for an additional fee. I am also a Bradley Method® childbirth educator. Class schedule available online at www.BirthWithBethany.com and would be happy to speak with you about that. What is a placenta tincture? A placenta tincture is made with a small portion of your placenta, is preserved at birth and is unique to you and your child. There are many uses for a tincture. It can be used to balance hormones after birth and enhance milk supply. Some clients even purchase it to save for menopause! It also serves as your child's constitutional remedy throughout his/her life for ailments such as colic, colds and indigestion. All About Babies Birth Center, Texas Health Presbyterian Denton, Baylor Scott & White Grapevine, Texas Health Presbyterian Plano, Grapevine Birth Center, Bella Birth Center, Baylor Scott & White McKinney, Medical Center of Lewisville, Texas Healthy Presbyterian Flower Mound, Texas Health Harris Methodist Hospital Fort Worth, Baylor Scott & White Frisco, North Texas Medical Center Gainesville, Centennial Medical Center, Medical City Dallas Hospital, Texas Health Presbyterian Dallas, Baylor University Medical Center Dallas, Baylor Scott & White Carrollton, Gentle Beginnings Birth Center, Texas Health Harris Methodist Hurst - Euless - Bedford, Inanna Birth Center and many more. 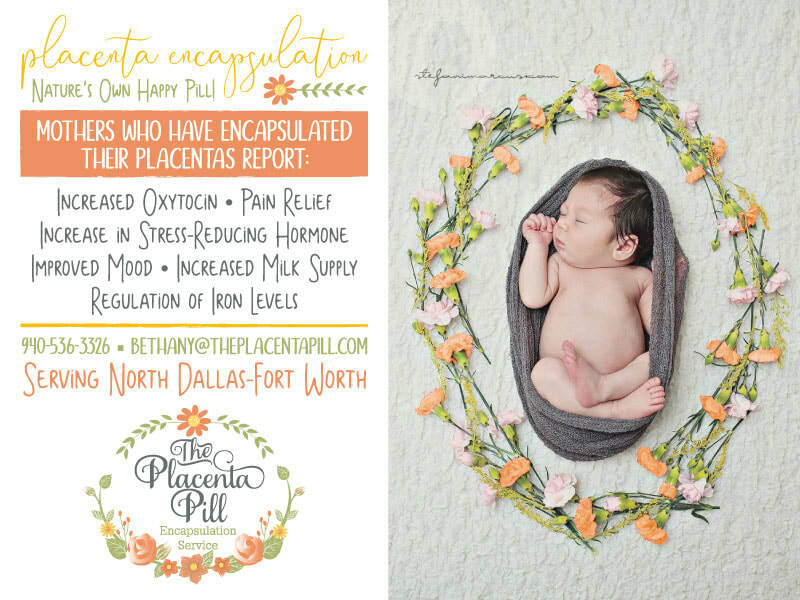 Please use the Contact form to get in touch, or if you are in need of immediate placenta encapsulation, please call Bethany at 940-536-3326. 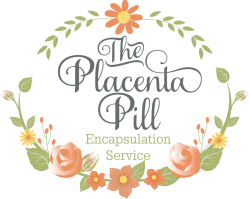 The Placenta Pill provides placenta encapsulation services to the following areas and beyond: Lewisville, Flower Mound, Argyle, Denton, Grapevine, Coppell, Fort Worth, Dallas, Plano, Carrollton, McKinney, Irving, etc.